Mia (Chloe Grace Moretz) had everything going for her. A wonderful, supportive family, an audition for admission into Juliard, and found her true love in local rocker and high school friend, Adam (Jamie Blackley). Following a head on crash that took the lives of her parents and younger brother, Mia is left in a coma, just barely hanging on. What's worse for Mia is that she can see everything happening to her. An out of body experience becomes a horrifying realization for Mia as she has to decide whether or not she wants to live or not. Hence the title. 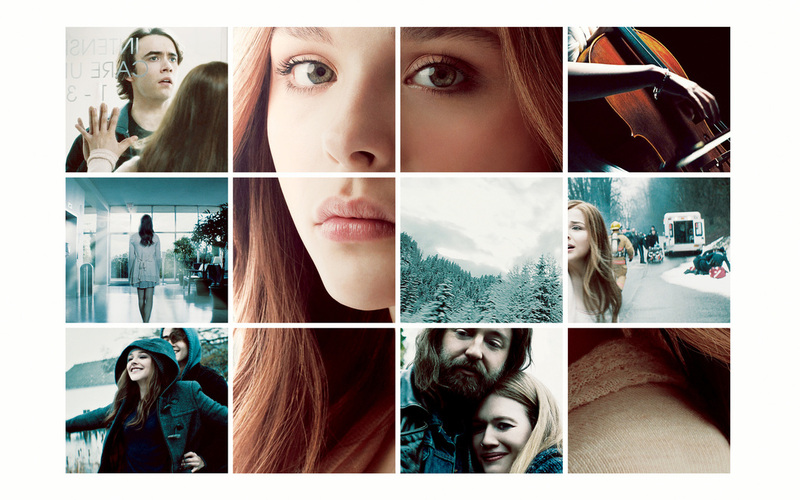 Told through flashbacks leading up to the crash and in real life through Mia's out of body experience, If I Stay is an emotional story about a girl who has to make the biggest choice of her short life. Does she fade away into the light and join her family, or does she fight and stay alive for those that she still has physically on this planet? These types of films are guilty pleasures of mine. The high school, teen dramas are always something I've greatly enjoyed. Maybe it's because I lived the polar opposite life that's usually portrayed. I never had any amazing adventures or a great group of friends. I did love a wonderful girl, though, so I guess that makes up for it. Past aside, these stories always mean more to me because they take place during possibly the most formative times of our lives. With all of that being said, If I Stay is a great installment in the teen drama catalog. I thought the story was told in a very interesting way, and to be completely honest, I wish I had thought of a story like this to write about. The connection and chemistry between Moretz and Blackley was fantastic and believable about 99% of the time. There were times when their real life ages, 18 and 24, respectively, creeped into my head and drew me away from the story, but when fully invested in the film, it does not become too big of an issue. Speaking of the main actors, Chloe Grace Moretz is an absolute star. I said it in my Carrie piece, but I believe she will rule Hollywood for female actresses for many years to come. Jamie Blackley delivered an excellent performance and was captivating as a rocker. Mireille Enos, Joshua Leonard, and Liana Liberato also fulfilled their roles perfectly, especially Enos of The Killing fame. I loved the locations of the film and the storytelling method. The pacing could have used a bit of work through some better editing and some of the lines were cringe-worthy, granted I don't know if I'm part of the target audience for the film. If they follow the Adam and Mia story with a second feature film derived from the second Gayle Forman novel, "Where She Went", I would surely be intrigued and would need to check that out as well. That novel is told from Adam's point of view several years later. Overall, I thought the film was emotional, well done and had great acting. It is a film worth watching or revisiting if you've already watched it before.